All casinos and many home games play poker by what are called table stakes rules, which state that each player starts each deal with a certain stake, and plays that deal with that stake. A player may not remove money from the table or add money from his or her pocket during the play of a hand. In essence, table stakes rules creates a maximum and a minimum buy-in amount for cash game poker as well as rules for adding and removing the stake from play. 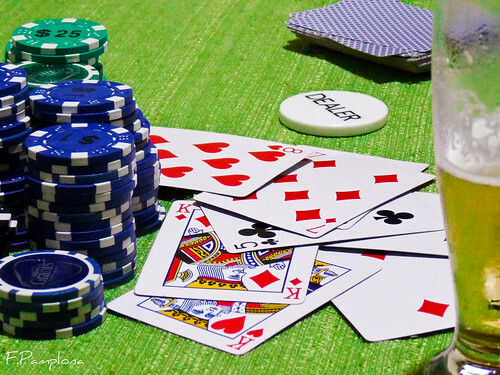 A player also may not take a portion of their money or stake off the table, unless they opt to leave the game and remove their entire stake from play. Players are not allowed to hide or misrepresent the amount of their stake from other players and must truthfully disclose the amount when asked. Common among inexperienced players is the act of “going south” after winning a big pot, which is to take a portion of your stake out of play, often as an attempt to hedge one’s risk after a win. This is also known as “ratholing” or “reducing” and, while totally permissible in most other casino games, is not permitted in poker. This also requires some special rules to handle the case when a player is faced with a bet that he cannot call with his available stake.